For most people, Utqiagvik, Alaska (previously known as Barrow) is a curiosity — the northernmost community in the United States, an Arctic town ruled by the polar night and the midnight sun. For Nicole Kanayurak ’13, it’s home. Kanayurak, who grew up in Utqiagvik as a member of the Iñupiat community, was named a Fulbright Arctic Initiative Scholar, joining a collaborative, multi-disciplinary research team run through the U.S. Department of State. The Fulbright Arctic Initiative brings together 16 experts from the eight Arctic Council nations to advance sustainable economic and community development and address the region’s unique challenges. The daughter of a whaling captain and subsistence hunter, Kanayurak grew up intimately acquainted with the challenges Arctic communities faced. It was at Dartmouth, as an environmental studies major, that Kanayurak learned to “look abroad in learning,” and gained a new perspective on the far North by conducting research on Greenlandic ecology. 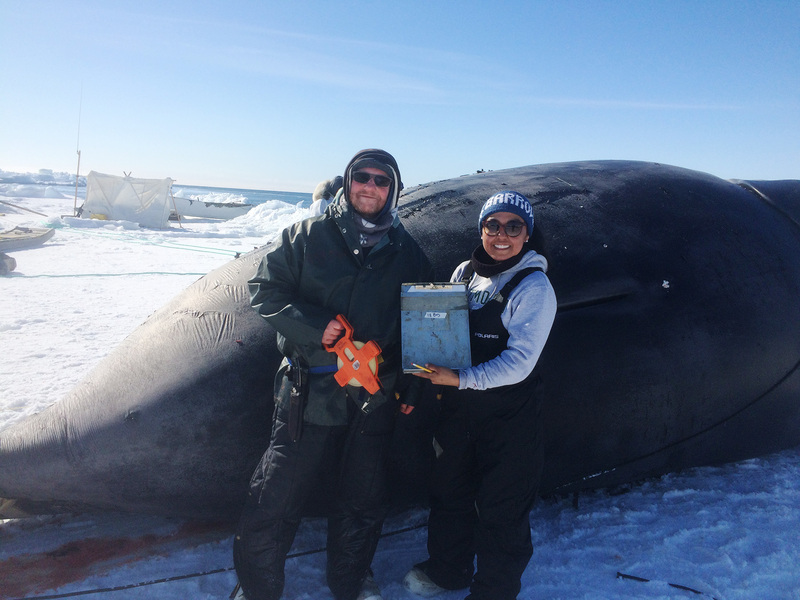 During her 18-month fellowship, Kanayurak, who currently works in wildlife management in Alaska’s North Slope Borough, plans to study the issue of food security in Arctic communities and to closely examine the impacts of new telecommunications infrastructure in the region. Joining the Arctic Initiative will allow Kanayurak the chance to work again with Ross Virginia, Myers Family Professor of Environmental Science and Director of the Institute of Arctic Studies, who serves as the program’s co-lead distinguished scholar. 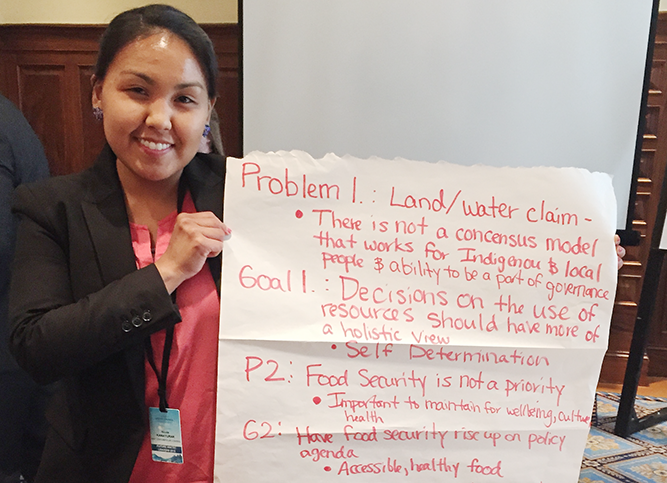 Kanayurak advocating for Food Security at a Future Arctic Leaders Meeting in Ottawa, ON.